The Tactical Jambiya Knifeis a nifty blade for survivors of the post-apocalypse. Its features a trailing point blade, similar in style of a jambiya, and is just as useful for creating a trophy mask from undead flesh as it is for preparing fish and other game. 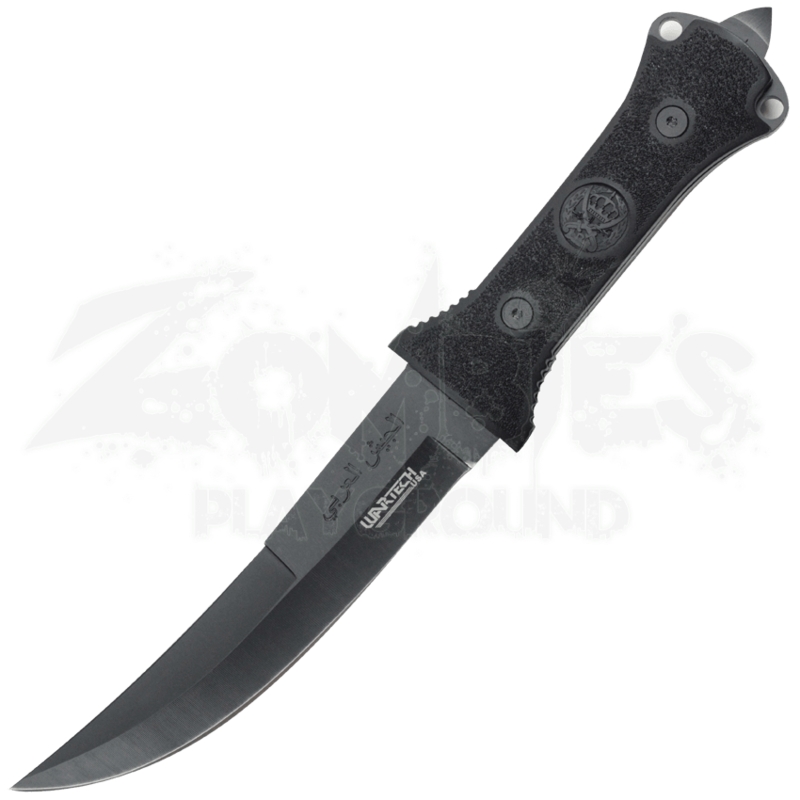 The stainless steel blade possesses a black finish. A grainy texture strengthens the grip of the black handle. 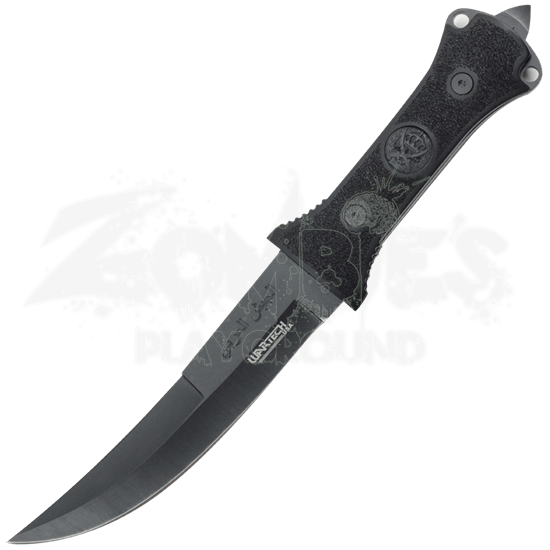 An engraved biohazard symbol decorates the center of the grip while a glass breaker and lanyard holes appear at the end. A nylon sheath is included for easy carry and storage.